The term wide area network is used to describe a network that spans multiple geographic locations. Consider an example. A company has two offices, one in London and one in Berlin. Both offices have a LAN. 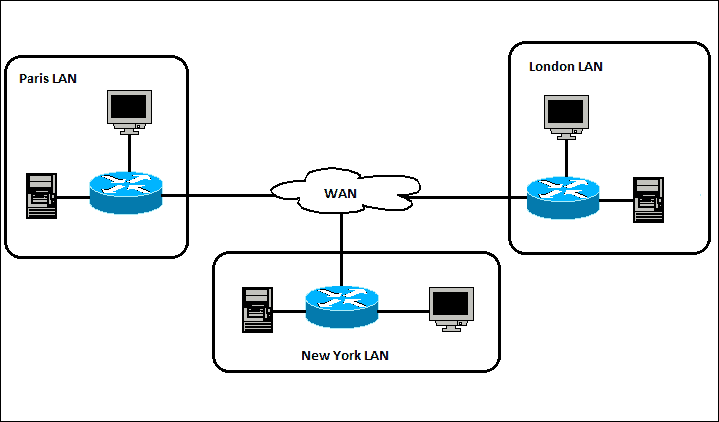 If the company connects these two LANs together using WAN technology, a WAN is created. Frame Relay, ATM and X.25 are different types of WAN technologies. The Internet can also be considered a WAN.